With this year’s WWDC keynote safely behind us and the conference itself rapidly drawing to its conclusion, it’s time for the press, analysts, and regular users to take stock, celebrate the new products that were announced, and rue those that weren’t. One group, however, is likely to do much rejoicing and very little ruing: developers, for whom the WWDC 2014 keynote was a big, exuberant, sloppy love letter from Apple. Much has been made in the press about the lack of hardware announcements, the fact that marketing vice president Phil Schiller wasn’t part of the presentation, or that chief designer Jony Ive didn’t appear by video from his white-walled underground lair—all of which have been part of the traditional WWDC keynote recipe. But those ingredients make little sense as part of an event that, at least nominally, is designed for technical folk. Instead, Apple put the spotlight squarely on software—and software developers—right from the start, and gave iOS/OS X chief Craig Federighi a chance to shine. In a tour-de-force that saw him present for most of the two hours, Federighi introduced a laundry list of new features and technologies that will quietly revolutionize the way the company relates to third-party apps. Federighi is the perfect choice to lead this revolution. With his mix of self-referential humor and surprising approachability—during last year’s WWDC, he would stand in line chatting with other attendees while waiting for his turn to get into one of the many technical sessions—the 44-year-old is exactly the kind of figure behind which third-party developers can rally and feel that they—and their needs—are taken seriously by the company. Apple’s relationship with its developer ecosystem has, at times, been contentious in nature. On one hand, the company obviously likes the great variety of apps that developers build for its products, but on the other it carefully limits the ways in which third-party apps can interact with its operating systems, particularly when it comes to iOS. To make things worse, Cupertino is often cagey when it comes to new product announcements, and, in the past, has imposed onerous confidentiality clauses as a requirement for joining its developer program and attending WWDC. As you can imagine, this does not go over well with developers, who chafe at being artificially prevented from creating the apps they want and having to deal with complex non-disclosure agreements that hinder their ability to freely exchange ideas and knowledge with other programmers. 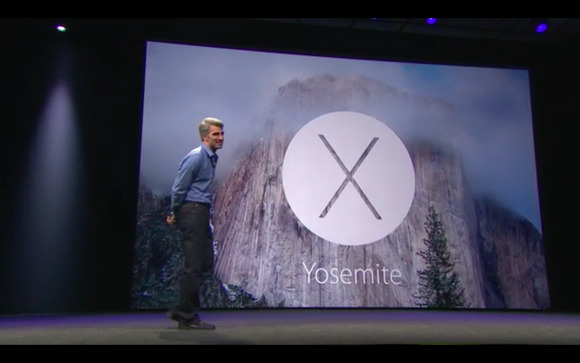 OS X Yosemite and iOS 8, however, seem to be bucking this trend. Many new features, like extensions and low-level access to the cameras found inside iPhones and iPads go a long way towards giving developers a freer hand in building apps that communicate with each other and integrate with the operating system at an unprecedented level. But it gets even better: Cupertino’s lawyers have reportedly relaxed the rules when it comes to developers discussing upcoming software features revealed at WWDC—a symbolic gesture, perhaps, given that the previous non-disclosure agreement was widely ignored both by attendees and even by the company, but one that still goes a long way towards showing developers that Apple cares about their ability to communicate and learn from each other. The announcements weren’t only technical in nature, either. A number of changes coming to the App Store, such as improved search and discovery tools and better analytical reports, are likely to have a positive impact on the lives of developers everywhere, but none more so than the new TestFlight beta feature that Federighi announced during the keynote. Until now, distributing beta versions of iOS apps has been—to put it mildly—a complicated and error-prone affair that required both developers and testers to jump through a number of hoops in order to ensure that their software was functional and free of bugs. To make matters worse, in an attempt to ensure that beta app distribution couldn’t be used as a way to skirt App Store rules, Apple only allowed each developer to release betas capable of working on a maximum of 100 devices, each of which had to be painstakingly registered, by hand, on a list that could only be reset once a year. Given that a modern app needs to run on half a dozen types of devices, it wasn’t that hard for a developer to run out of “beta slots” with just a handful of testers, which often resulted in much frustration and—ironically—less stable software. With iOS 8, all this will change: Following its acquisition earlier this year of the popular beta service TestFlight, Apple is baking beta-testing right into its developer tools, and will allow developers to distribute their unfinished software to up to 1,000 users—users, not devices—using a simple mechanism that requires very little user intervention or technical savvy. In addition to addressing a problem that has afflicted developers since the App Store’s launch, there is little doubt in my mind that this move will result in much better apps, both because developers will have an opportunity to gather more technical feedback about their products, and because they will be able to establish a better rapport with their audience by letting them try new software before it’s released. This year’s WWDC suggests that Apple is turning over a new leaf when it comes to its developer relations, and we can only hope that it represents the beginning of a trend that will continue in the years to come. To be sure, there are still many areas where the company’s dealings with third-party developers could improve, like the transparency with which it handles bug reports, its evangelism efforts, and its documentation. But every step the company takes in this direction can only make developers happier and more productive—and for each and every one of us, that means that the apps we use every day will simply get better and better.